This site was once the family home of Felix Kirk Zollicoffer. Born in Maury County in 1812, he became a printer, and worked with newspapers in various areas in Tennessee and in Huntsville, Alabama. He began a military career as a lieutenant in the Second Seminole War in 1836, but was not particularly notable. He was back to newspapers within a year, and owned and edited some smaller papers before becoming the editor of Nashville’s Republican Banner, a Whig newspaper where he was held in high regard. 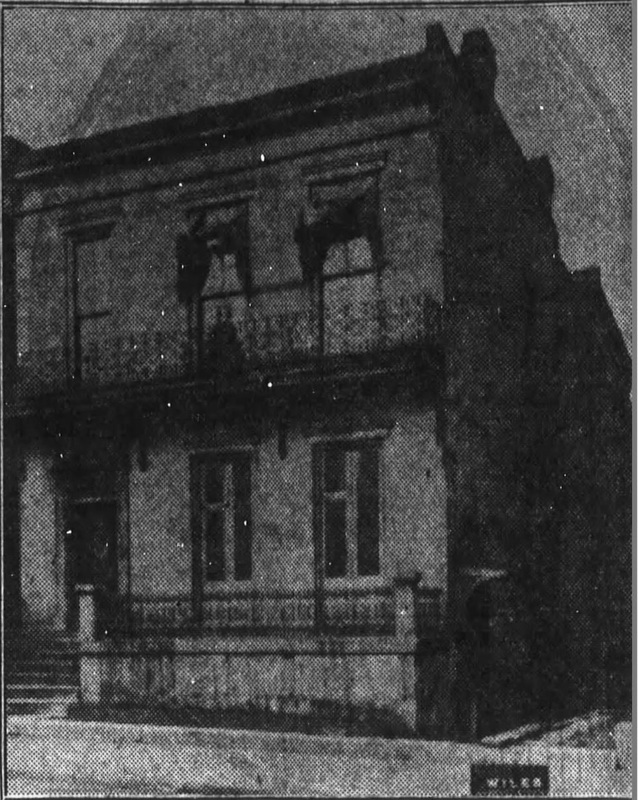 The Banner’s office was located further down Deaderick Street, while Zollicoffer’s home was on Sixth Street (as this was before the two streets intersected). An exact date of when the house was built is unclear, but it was there by at least the 1840’s, and impressed with its mahogany doors and woodwork. 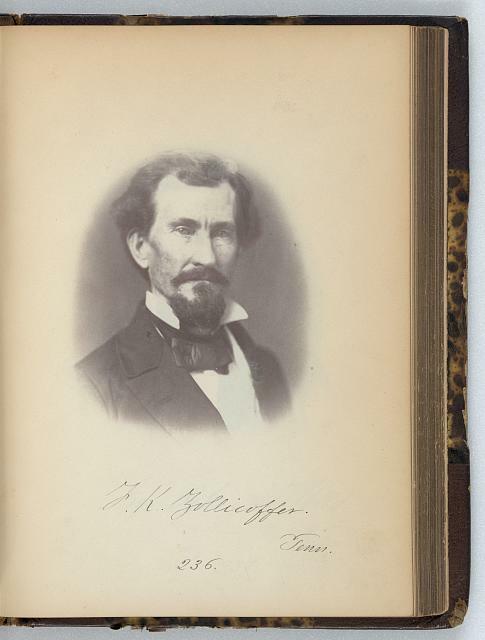 Deeply involved in the Nashville Whig scene, Zollicoffer soon began a political career, serving as state comptroller of the treasury between 1845 and 1849, in the state senate from 1849 to 1852. His newspaper connections still ran deep; when the rival Union disagreed with the Banner on where a bridge across the Cumberland River should be located, Zollicoffer dueled the paper’s editor at what is now the corner of Fourth and Charlotte. Both were wounded but neither died, and the bridge was eventually located where Zollicoffer wanted, and became the Woodland Street Bridge. He soon moved on to the federal government. In 1853, he was elected as a Whig to the Thirty-third Congress, and would be re-elected as an American Party candidate in the Thirty-fourth and Thirty-fifth Congresses. He did not seek reelection in 1858, but as tensions between the north and south grew, he was a member of the peace convention of 1861 in Washington, DC. Despite his initial resistance to succession, the Civil War broke out anyway. Zollicoffer’s previous, paltry military experience was enough to make him a brigadier general in the Confederate Army, and he was given control of the army forces in East Tennessee. Major General George Crittenden took command of some of the East Tennessee army within a few months, and ordered Zollicoffer and his 4,000 troops to march to Kentucky. On January 12, 1862, he and his troops came across the Union army in Nancy, KY, and began the Battle of Mill Springs. It was rainy and misty, which combined with Zollicoffer’s rumored nearsightedness and disorganization among the troops, made for a highly confusing and messy battle. The story goes that a confused Zollicoffer approached Union Colonel Speed Fry and his troops, ordering them to stop firing at his own men. Some say Fry was the one confused who approached the Confederates, but whatever happened, the outcome was the same. General Zollicoffer was shot dead, making him the first Confederate general killed in the western theater of the Civil War. After his death, some of his descendants lived in the house, including (in his childhood) Felix Zollicoffer Wilson, who was briefly mayor of Nashville from 1921 to 1922. After a time, no one lived there anymore, so the house remained as a historic landmark. A memorial tablet commemorating Zollicoffer was set into the home in 1910, before it was razed in 1925 to make room for the Andrew Jackson Hotel. Victoria Hawkins, “The Zollicoffer Home,” Bygone Nashville, accessed April 25, 2019, https://bygone-nashville.mtsu.edu/items/show/24. Before the James K. Polk building or the Andrew Jackson Hotel, this site was home to Felix K. Zollicoffer: newspaperman, politician, and Confederate general. Published on Dec 4, 2017. Last updated on Dec 15, 2017.